A Diverse Region | Initiative Foundation | Little Falls, Minn. In addition to providing grants and programming to promote economic vitality in Central Minnesota, the Initiative Foundation partners with a host of poverty-fighting organizations. Collectively, we're able to drive resources into diverse communities where economic stimulation can lead to change-making results. 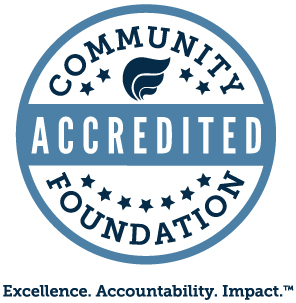 Among our many partners are several certified Community Development Financial Institutions, or CDFIs. The certification from the U.S. Department of the Treasury's CDFI Fund signifies that an organization meets stringent federal requirements as a financing entity with a mission to help people in underserved communities join the economic mainstream. The Initiative Foundation is proud to partner with several fellow CDFI organizations, including the African Development Center (ADC), the Latino Economic Development Center (LEDC), Leech Lake Financial Services (LLFS) and the Neighborhood Development Center (NDC). on diversity, equity and inclusion. Nasibu Sareva, executive director of the African Development Center, leads a group discussion. With the support of a $250,000 Initiative Foundation loan, the African Development Center is working in communities where new Americans are concentrated. The goal is to raise quality-of-life by supporting business startups and expansions. Most new Americans arriving in Minnesota from Africa over the past generation are fleeing civil strife in places such as Somalia, Liberia, Sudan, Nigeria and Ethiopia. The Twin Cities-based African Development Center is continuing its work in Central Minnesota to meet the complex needs of new American entrepreneurs that traditional institutions often are unable to provide. Their work is helping to make the "American Dream" accessible to all. Members of the Agua Gorda Cooperative in Long Prairie at one of their fields bursting with potential. A $250,000 business finance investment from the Initiative Foundation to the Latino Economic Development Center (LEDC) was put to quick use when its first of several Central Minnesota loan clients, Agua Gorda Cooperative, tapped into the funding to purchase a 54-acre Long Prairie-area farm. "We are excited to partner with LEDC with an investment that will improve the lives of people in our region-people we might not otherwise reach through our more traditional lending activities," said Lynn Bushinger, chief financial officer at the Initiative Foundation. "The model the LEDC has developed will create a pathway for Latino immigrants to make the transition from worker to owner, thereby increasing the potential for wealth creation for them and their families." Agua Gorda Cooperative is a worker-owned cooperative farm. The growers, who originally hail from Agua Gorda, Mexico, produce certified organic tomatillos, cucumbers, summer squash and melons. For Missy Bowstring, a member of the Leech Lake Band of Ojibwe, Leech Lake Financial Services (LLFS) has provided a personal loan and financial advice. The Initiative Foundation has partnered with Leech Lake Financial Services (LLFS) and provided technical assistance as it worked to achieve CDFI status. These efforts paid off with a CDFI grant award. "This grant award reflects the dedication and support the Leech Lake Tribal Council gives to Leech Lake Financial Services," said Rob Aitken, LLFS executive director. "We see it as a blessing from the outside to continue to move forward with our nation-building efforts inside the reservation." Since its official formation as a tribal nonprofit in 2013, LLFS has written 1,000-plus low-interest consumer loans. It has trained hundreds of reservation residents in personal finance and now provides commercial loans to reservation entrepreneurs and businesses. Lisa Xiong of the Neighborhood Development Center leads the Initiative Foundation's Enterprise Academy team through a training exercise. A partnership with the Twin Cities-based Neighborhood Development Center (NDC) has led to the launch of the Initiative Foundation's Enterprise Academy, a program that helps aspiring entrepreneurs learn from business experts as they create their own individual business plan. Strengthening and broadening the economic fabric of communities. "Our aim is to lift up entrepreneurs to build local economies from within," said Jeff Wig, Initiative Foundation vice president for business and economic development. "As we help them raise their business acumen, our hope is that these entrepreneurs become neighborhood and civic leaders." Support for the Enterprise Academy is made possible by a grant from Wells Fargo, a CDFI-supporting partner.